Belt barriers are a functional, flexible, low cost way of managing queues, these belt barrier posts are fitted with belt lock and slow retract belt braking systems for safety. 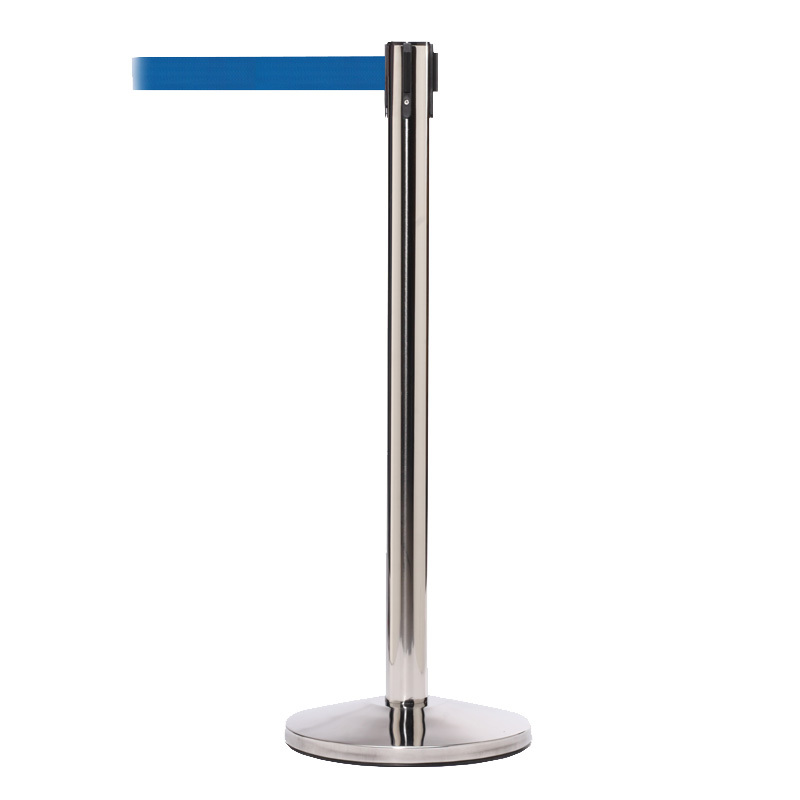 Suitable for use wherever queues may form, allowing you to manage the formation and path of people queuing in a safe and space efficient manner. The weighted base provides stability and the full circumference floor protector will help ensure your floor, or floor covering is not damaged. 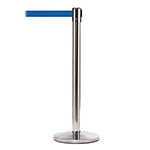 Belt barrier posts are easy to position and store, as the 3.4m long belt retracts into the post they take up little space when in not in use.